Which asian kid didn't grow up watching Totoro right? I certainly did, I have probably lost count how many times I have seen the film now! After listening to some Totoro music, I was really inspired to create some sort of a tutorial, what better than a nail one I thought?! I started playing around with different designs and ended up with this. It is easy to re-create and alll the products I used, you should already have (no fancy nail brush etc). this is so unique ! This brings back memories!! 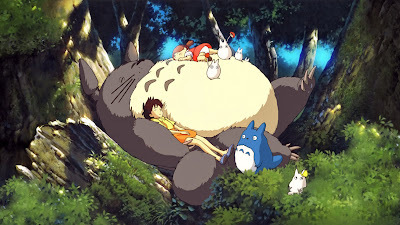 Totoro is <3!! Thanks for sharing this tutorial! However, I'm not great in doing nail art... sigh. 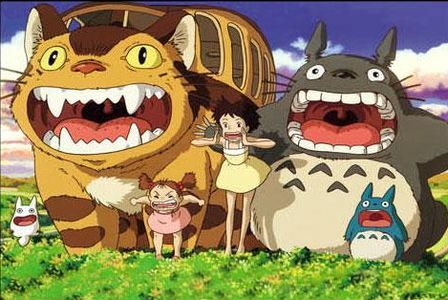 I love Totoro!! So cute! Thanks for sharing! omg this is so cute!!! thanks for the tutorial! really love your totoro nails ^^ so creative !